Hello, everybody! Today we are making a savoury version of bars! They are a perfect snack for kids and adults too. If cut in pieces they are ideal for salads. They are aromatic, healthy and remind me of summer. 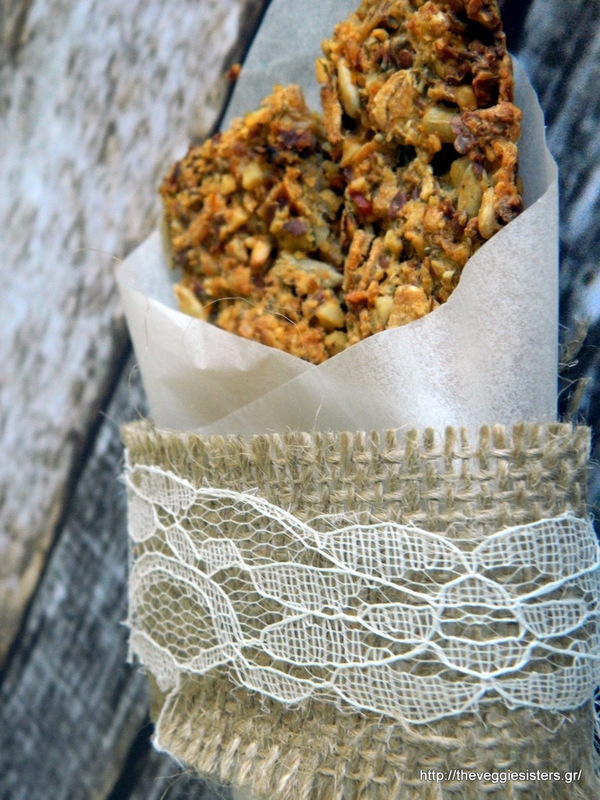 Try these mediterranean bars and I am sure you will love them as well! Take care my dear friends! In a bowl combine the ingredients of the first mixture and set aside. In a blender pulse the ingredients of the second mixture until smooth. Then combine the two mixtures. Spread evenly the batter on a baking sheet lined with parchment paper. Bake in preheated oven at 180C for 30-35 minutes . 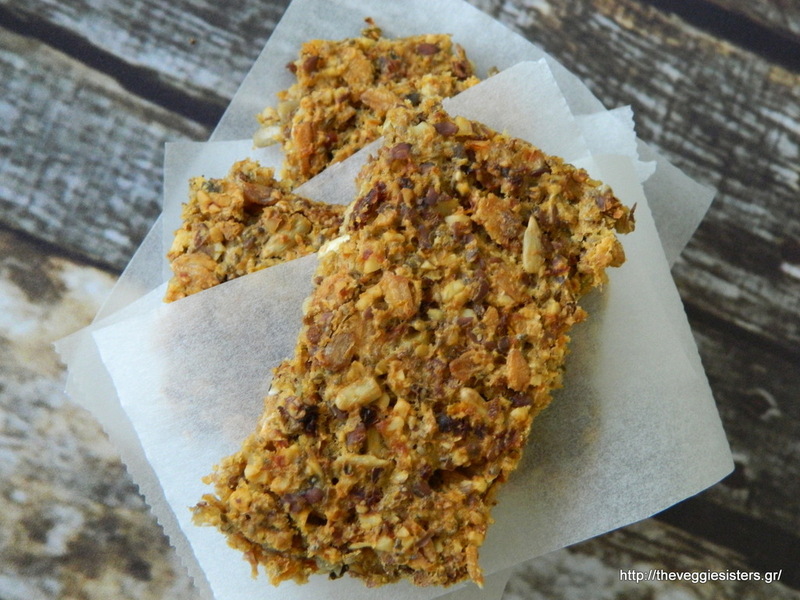 Allow to cool and then cut into bars (for a snack) or small pieces (ideal for salads). Enjoy! 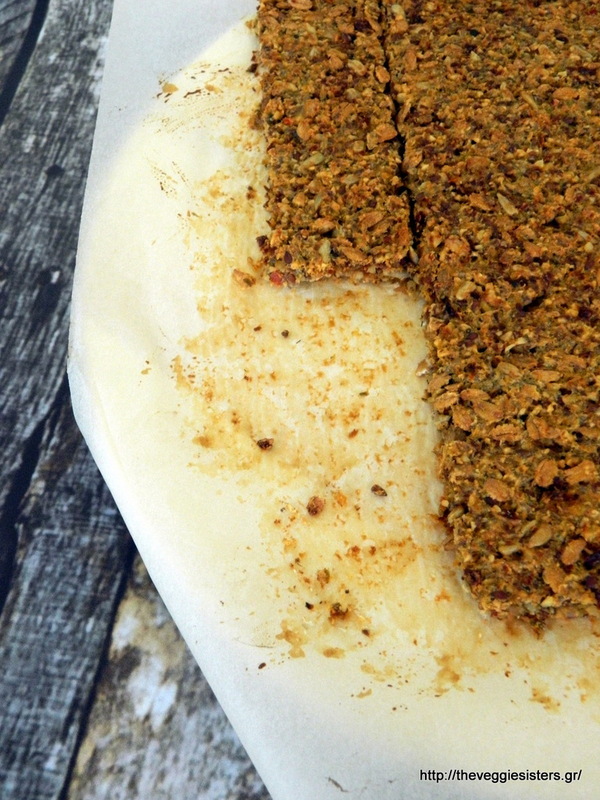 Share the post "Savoury mediterranean bars"